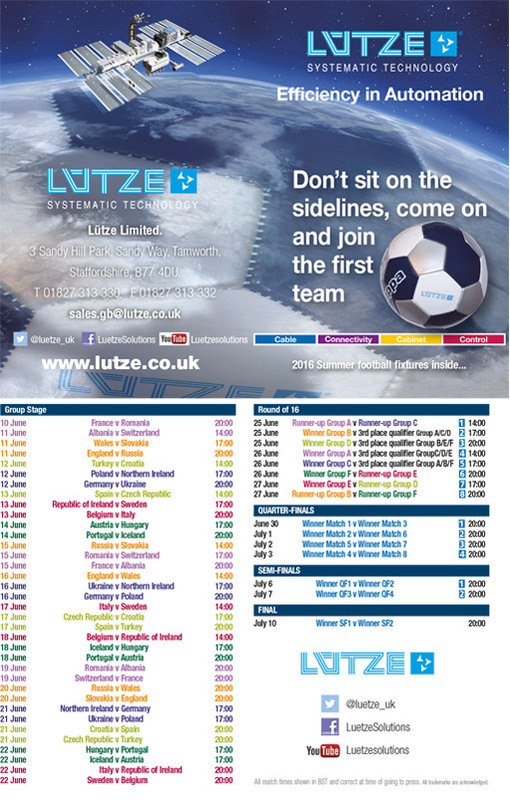 Click on the link below if you wish to download the free wallet sized 2016 Euro Football Fixture List, from our supplier Lutze. 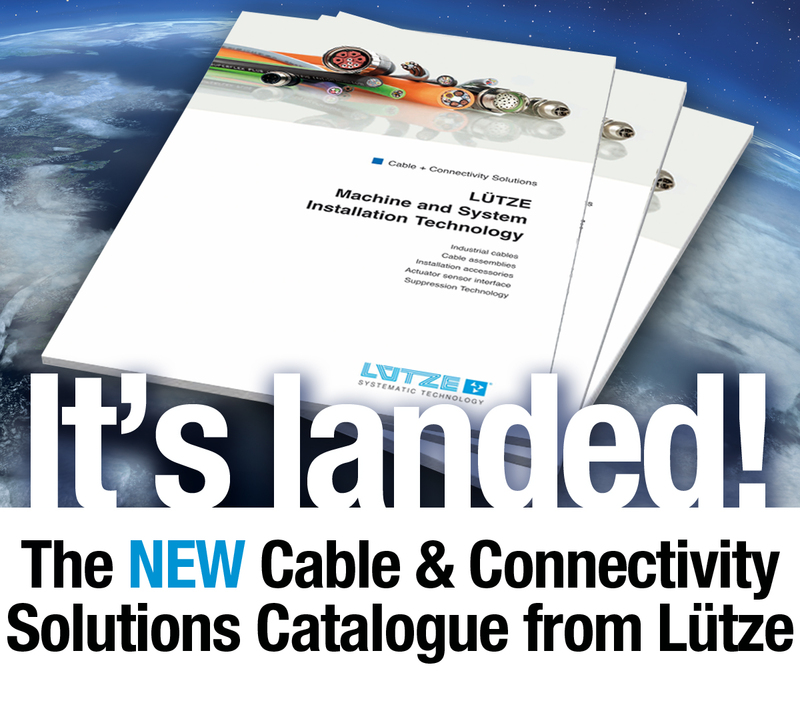 The NEW Cable & Connectivity Solutions Catalogue from Lütze. Over 332 pages packed full of innovative products for machine and factory automation is now available. 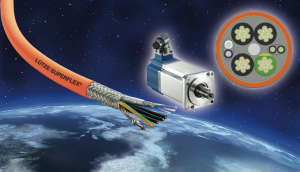 Throughout you will find a comprehensive product range from the field of industrial automation, including installation cables and accessories, cable assemblies, actuator-sensor interfaces, suppression technology and connectivity. 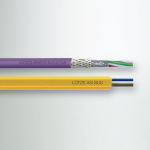 The focus of the new catalogue is placed on highly flexible cables for industrial use and installation cables produced to UL standards specifically for the North American market. 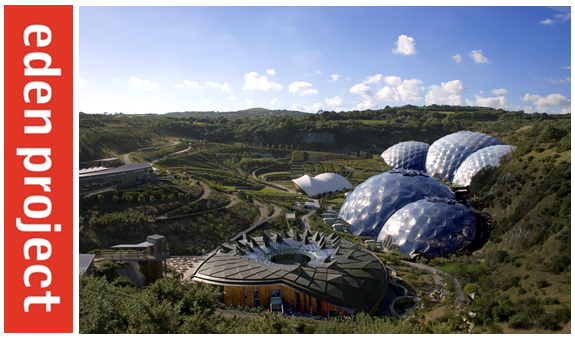 All with excellent stock availability and lead times. 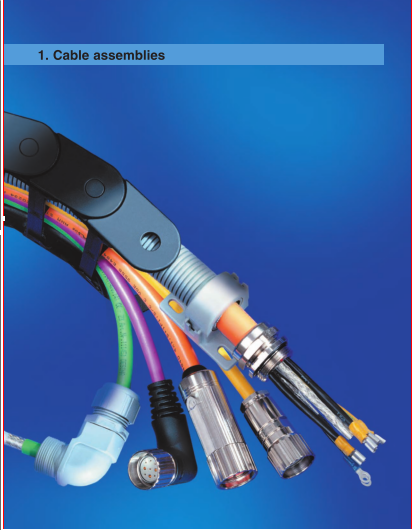 The range of cables comprises control, electronics actuator-sensor (M8, M12 etc), bus and network cables, UL rated cables, motor, servo, power and feedback cables. Give us a call if you need a quote or any other information ! LÜTZE has introduced a new electronic housing – the LCOS, which is an intelligent housing solution that can be individually adapted to the requirements of the control cabinet. 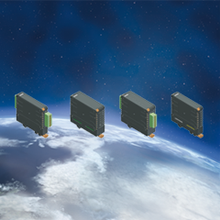 The LCOS from LÜTZE is an IP20 electronic housing system that can be used for both modular housings or as a stand-alone solution, it can also be expanded into a complete modular I/O system via the toll-free connection of data or energy modules. The LCOS’ electronic housing is based on a device carrier that holds the separate housings or the plug-in function units. The patented four-wire bus allows the field side to be supplied with up to 16A of nominal current per conductor. This facilitates the realisation of three-phase functions with an operating voltage of 500V or also 24V applications with a current load of DC 64A. 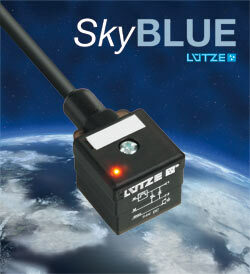 The LÜTZE electronic housing LCOS has UL-approval and can therefore be used worldwide. The temperature application range lies between -40° C and +85° C. On the basis of the various approvals and fire tests, such as V-0, NFF I2 and NFF F2, the LCOS housing is also suitable for use in rough ambient conditions. Various models allow individual solutions. If the LCOS housing system is used in a modular way, plug-in data or power modules with supply options supply power to the system and allow the creation of a data and power bus. The modules are interchangeable so that four results are possible: 2x data; 2x power, 1x power/data, 1x data/power. A further advantage: The connection between the modules does not need to be wired, it is connected via insulated bridges. The LCOS function housing is available in four models: Either as a housing that is 22.5 mm or 35 mm wide, or alternatively with or without side terminals. In combination with the supply the construction width is 57.5 or 70 mm. The LCOS housing is equipped with three standard markers so that a total of 18 characters can be used for labelling purposes. As an additional service, LÜTZE supplies both customised front plates and also individual colours to implement the Corporate Identity of the device manufacturer. Thanks to 64 freely selectable codes, it is impossible to connect the modules incorrectly. They are connected directly to the carrier rail via PE contacts. Regardless of the housing configuration, the LCOS system has 42 connection points. The data bus is equipped for future purposes with 12 data contacts to allow the individual design of the device communication system e.g. the connection of the power modules or bus-capable load monitoring modules. Servo motor technology continues to develop further, with the aim of making the technology more user friendly. A new trend for servo motors is integration of the encoder feedback in the transfer cable. The main advantage here is the connection technology, as the connection can be established with just one cable and one connector per motor. With the separate connecting lead becoming superfluous for data transfer, not only is material saved, but a source of error is also eliminated and the installation effort is decreased. 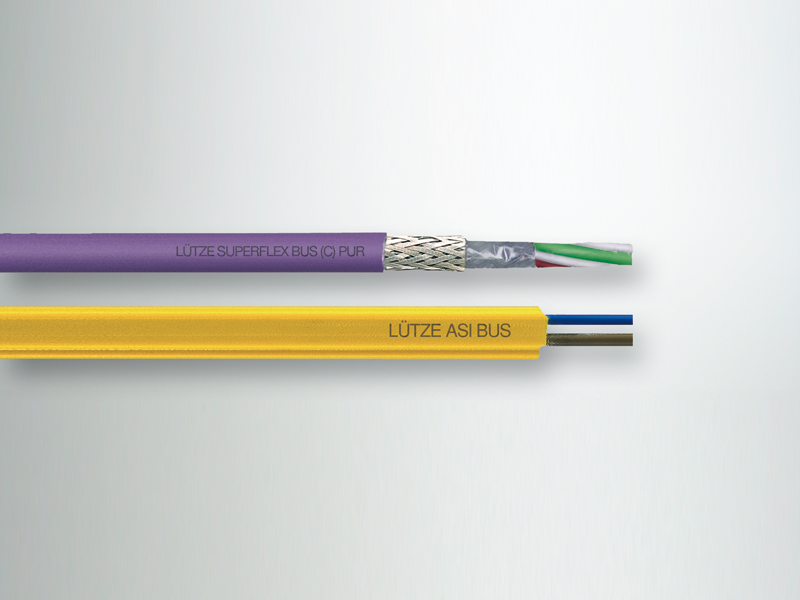 LÜTZE added a new innovation to its range and now offers a special servo cable which is compatible with the digital interface HIPERFACE-DSL® from SICK®. This cable is specially designed as a hybrid servo cable, and consists of three elements: a power supply, a separately shielded motor brake pair and a separately shielded data pair for digital data transfer. 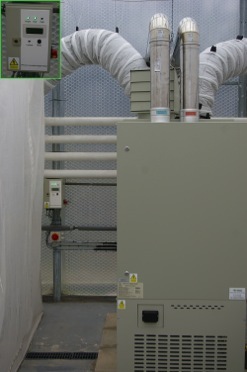 SERVO 0.6/1 kV has been designed for consistently moving operation in C-tracks. In order to guarantee trouble-free functional integrity of the motor in moving applications, the elements in the cable must remain in their position during movement. Furthermore, electrical interferences between the power supply and ­the data pair must be ruled out through respective shielding. 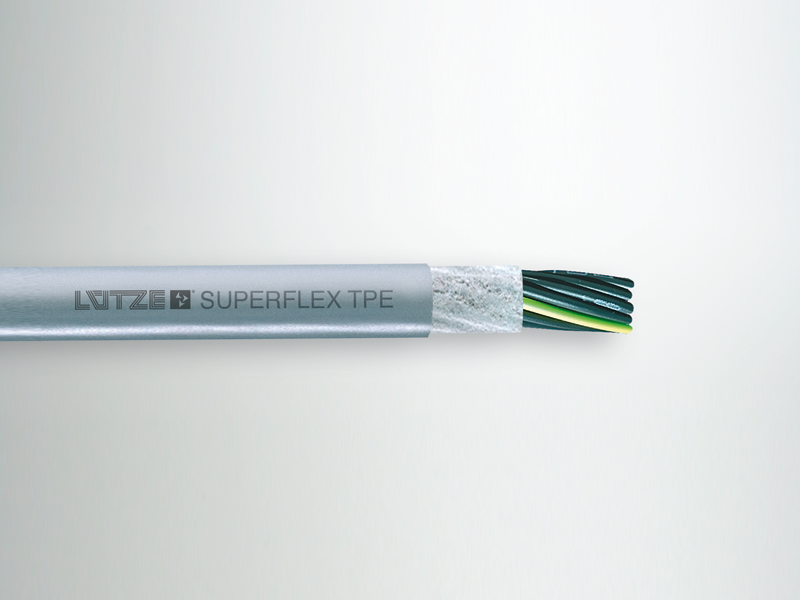 LÜTZE SUPERFLEX® PLUS M© PUR HYBRID SERVO 0.6/1 kV provides all these characteristics, and therefore represents a reliable solution for the connection of all servomotors with HIPERFACE DSL® technology. 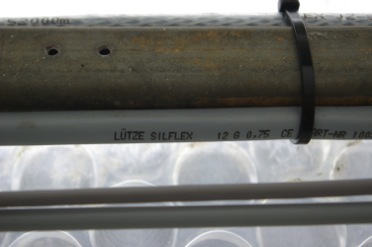 LÜTZE also provides this new cable fully assembled. Working closely with Lutze, who develop and build electronic and electro-mechanical components for the Automation Industry, we would like to tell you about their new product. The new Lutze Suppressors for valves are ready-made, pre-assembled components that meet the demands for many users in the industrial market. The pre-assembled PUR cable meets to IP67 and due to its moulded design, can be used in harsh environments outside of the control cabinet. 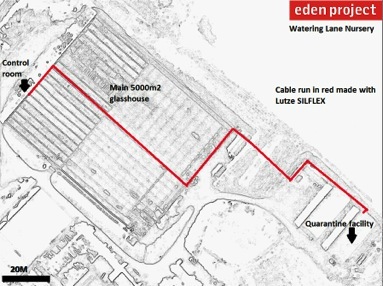 A big advantage of this is a maximum of 50% reduction in energy consumption and Lutze say the purchase price will be fully recovered within a year due to this. The suppressor is commonly used for the power supply of hydraulic valves. 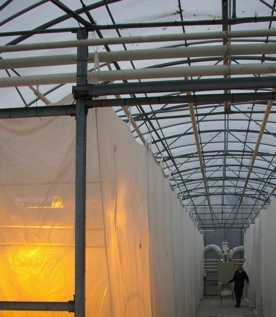 It can also be used in a working temperature range between -25 °C and +80 °C. 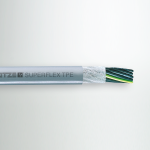 Working closely with Lutze, one of our UK cable Suppliers enables us to take advantage of their long established experience and draw from their expertise to offer us the ability to supply bespoke cable assemblies that will meet with your everyday machine assembly requirements. Offering advice from Skilled Engineers will guide you and help you plan your systems tailoring solutions to meet your needs. Within this service we can draw up the documentation and supply high-quality assemblies for your plant and installations. Having the ability to draw from a stock of over 1700 types of cables, including all common types of C-track cables, as well as almost 100 different varieties of conduits. Connectors, hydraulic and pneumatic accessories as well as other components enables us to keep leadtimes to a minimum. We take care of the full transition from design to supply and with modern production and test facilities this ensures that we can offer a guarantee of the highest quality for all our products.